Now that it is officially hurricane season perhaps it is time to be thinking about the trees around our homes. There is no “risk free “tree however; there are strategies that we can undertake that can create a more wind resistant tree canopy. They are: plant more wind tolerant trees, prune properly, and conduct routine tree inspections. 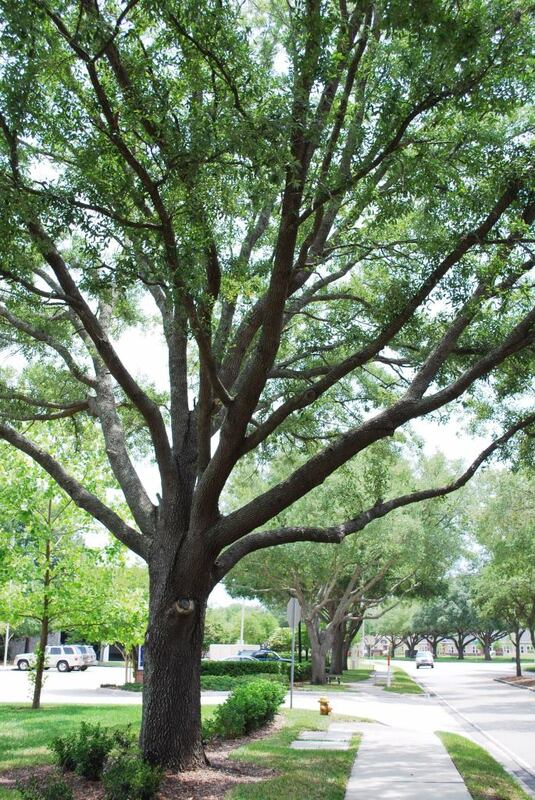 Wind Tolerant Trees Research by the University of Florida performed in communities that received hurricane force winds from 1992-2005 identified several trees that appeared to be somewhat resistant to wind damage. It is thought that the growth form of the trees helped them resist wind better. The trees that appear to do better are: Live oak, Southern magnolia, Sweetgum, Holly, Sycamore, Swamp chestnut oak, Baldcypress, Sabal palm and Blackgum. There were also several trees that were identified as trees with poor wind resistance. Those trees include Laurel Oak, Water Oak, Red Maple, Pine, Southern Red Cedar, and Queen palm. Creating a wind resistant tree canopy includes planting more of the wind tolerant trees and removal of the wind intolerant trees if they are likely to cause property damage. A tree where the interior branches have been removed. This is called lions-tailing and it creates a weaker tree. Branch failure is the easiest type of failure to prevent. This is done through proper pruning beginning when the tree is young. When you are out in the landscape, look up. Take note of any large dead branches. Major deadwood over any structure is an immediate concern and should be removed. The type of branch attachment is also important. Take a look at how the major branches are attached to the trunk. If the attachment of the branch looks like a “V” rather than a “U”, it is a weaker branch attachment. The reason V-shaped branch attachments are a problem is because bark gets imbedded in the joint as the branches grow together and weakens the attachment. This condition can be even more of a risk when the tree has more than one trunk. Multi-trunked trees are especially prone to splitting apart because of poor branch attachment. How trees are pruned is important. 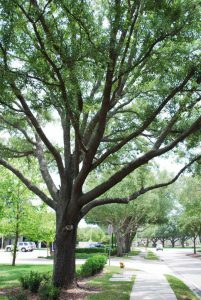 A recent study by the University of Florida showed that properly pruned trees had considerably less damage than unpruned and improperly pruned trees. Improper pruning by overlifting (lionstailing) the crown through the removal of large lower limbs and interior branches resulted in more damage to the tree during windstorms. Properly pruning trees by using reduction cuts and structural pruning resulted in trees that resisted wind and therefore received less damage. A periodic tree inspection of the branches, trunk, and root area can reveal problems before they become major ones. Trunk and root defects are harder to detect than branch defects. The most obvious type of trunk defect is a cavity. Large cavities with decay should be inspected. Any vertical crack in the trunk of the tree that goes deep into the wood of the tree is a warning sign of structural problems and any horizontal crack is a sign of imminent trunk failure. Any mushroom or mushroom like fruiting structure coming out of the trunk of the tree is a sign that the tree has internal decay and should be inspected more thoroughly by a tree professional. There is no way of knowing how much of the tree structure has been lost to decay without some further testing. The arborist inspecting the tree may recommend pruning or cableing to relieve stress on the trunk, however; if the defect in the trunk is serious, removal of the tree may be the only means to solve the problem. The part of the root system that bears most of the load in holding the tree up is the root plate. If you picture the tree as a wine glass, the root plate is the base of the wine glass. Many trees have had their roots covered by soil during construction activities. Mulch volcanoes are formed when mulch is piled over the root flare and against the trunk of the tree. Both situations are bad for the tree because it buries the roots and promotes disease. It also makes inspection of the root flare difficult. If the root flare of a tree has been covered by soil, or mulch, it is important to uncover it for a proper inspection. Look for any cavities at the base of the tree, or mushrooms originating from the base or roots of the tree as a sign of possible root decay. Any damage to the root plate by construction, or other means, is a cause for alarm. Recall the wine glass analogy and imagine how unstable the wine glass would be if part of the base were gone. A Certified Arborist (https://www.treesaregood.org/findanarborist/arboristsearch) should be called in to inspect the tree if any problems with the root system are suspected. More information of trees and storms can be found on the University of Florida Environmental Horticulture Website http://hort.ifas.ufl.edu/woody/stormy.shtml. ← Sustainable Beef: It’s What’s for Dinner! Larry Figart is an Extension Agent in Urban Forestry, for the Duval County Extension Service. 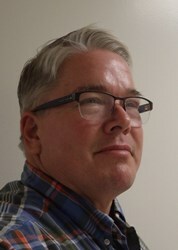 He is responsible for delivering educational programs in tree care to the citizens of Duval County.